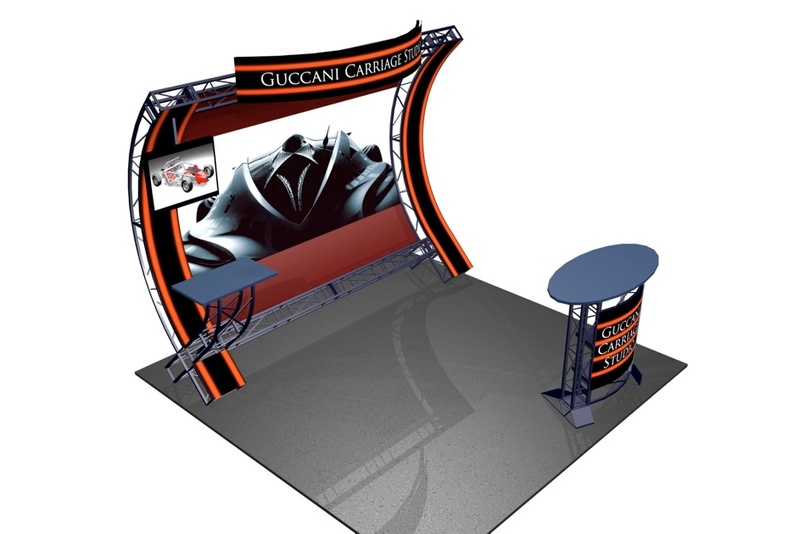 This booth uses curved 612 beams vertically to create an arced ribbed backwall. Rentals Available. Panel B - main: 78” x 11.5” panel size, 78” x 11.5” viewable graphic size. Panel B - bottom: 11.5” x 11.5” panel size, 11.5” x 11.5” viewable graphic size. Panel C: 93.5” x 82.75” panel size, 92” x 81.25” viewable graphic size. Panel D: 95.25” x 11.5” panel size, 95.25” x 11.5” viewable graphic size.